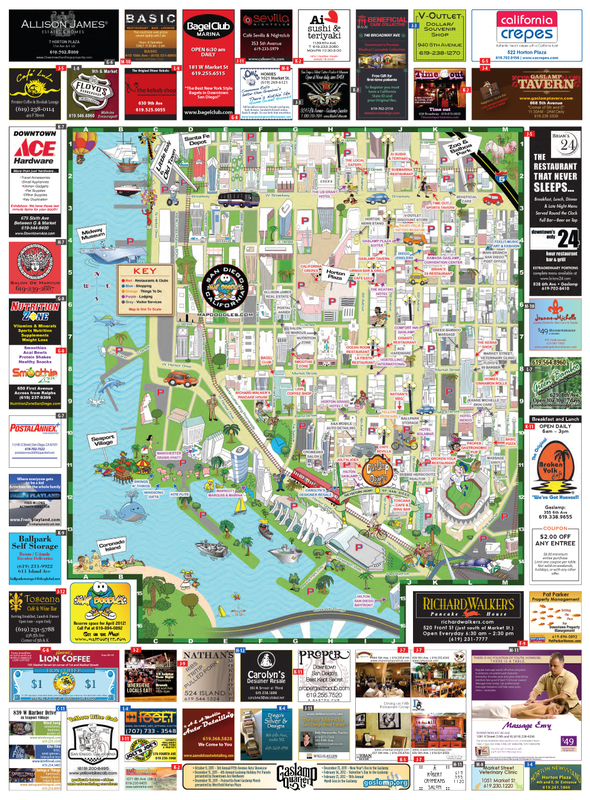 I designed over 50 of the ads total on both sides of this Map Doodles San Diego map from scratch, I reworked wrongly-sized ads or recreated artwork from scratch. I sometimes had bits of websites to work from, but not always. I setup the grid, added the grid indicators, and did all the final production on this project in Adobe InDesign, and most importantly, I got it successfully to the printer. Check out the other side of the map, too.